Welcome to your one-stop resource for all things Crown Point Real Estate! 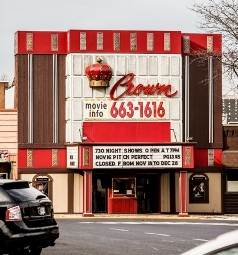 Considered to be the “hub of Lake County,” Crown Point Indiana is located just 40 miles southeast of Chicago’s Loop making up just one of the Loop’s 77 official community areas. Crown Point and Crown Point real estate offer new homes, single-family family homes and even luxury homes. Condos for empty nesters are sample along with apartment rentals. 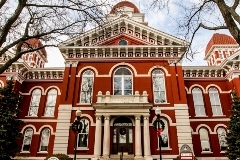 This historic town of 27,000 residents is famous for housing the courthouse from which bank robber John Dillinger escaped. It has a vibrant downtown scene coupled with the feel of suburban living and close proximity to one of America’s largest urban areas. Downtown Crown Point offers a wide array of historic storefronts and preserved architecture dating back to the late 1800’s. Antique collectors can browse through an impressive selection at the Old Town Square Antique Mall. 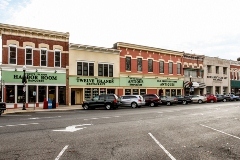 Considered to the be the largest antique mall in the area, this three-story building houses over 80 antique dealers with a variety of collectibles, antiques, and gifts. The stores in the Courthouse Shops sell gifts and candles, gourmet food, and much, much more. Several shopping malls including the Point Shopping Mall and West Street Plaza Mall offer a variety of well-known stores for everyone’s shopping needs. American eateries along with Chinese, Italian, and Mexican restaurants are just a few of the dining options in Crown Point. Fine dining at Lucrezia offers a romantic, white tablecloth setting for a night out. Located in the historic Crown Point Square, Prime Steakhouse offers the finest steaks and seafood or head upstairs to Umi Lounge for the best sushi in the region. For a quick drink or a casual evening, stop by Crown Brewing Company for locally hand-crafted ale. Small cafes and coffee shops are perfect for people watching or just spending some time chatting with the locals. 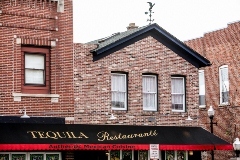 Try Provecho for traditional Latin and Spanish cuisine with an inviting atmosphere. With 19 parks, a seasonal ice skating rink, a skate park, and municipal swimming pool, there are plenty of parks and resources to stay active and outdoors. Lemon Lake Park features 403 acres of hills and wooded areas. Picnic and barbecue areas, hiking and jogging trails and hayrides in autumn are just a few of the activities families can enjoy here. Other parks across Lake County offer cross country ski trails, maple syrup making classes and other seasonal activities. Crown Point also hosts a popular St. Patrick’s Day Parade and a 4th of July Parade. 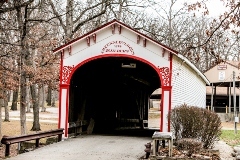 With a low crime rate, Crown Point is a small, family-oriented town with plenty of charm. Once called a “Hidden Gem” in which to live, work and play, Crown Point benefits by having access to Chicago while preserving local history and culture. Crown Point real estate and Crown Point homes for sale include starter homes, established neighborhoods, gated communities, condos, and townhomes. Many of the homes in the neighborhoods are made up of single-family dwellings. The median home price hovers around $186,039 and the average household income is around $69,565. The jobs here are primarily white collar with many of the locals commuting elsewhere for work. For the latest available properties in Crown Point, see these listings or call the office at The Jana Caudill Team to arrange for a showing. The Crown Point Community School Corporation serves the Crown Point area with seven elementary schools, two middle schools and one high school. Over 8,500 students attend these schools with a 98% graduation rate. For those looking for higher learning, Hyles-Anderson College is an unaccredited Bible college which focuses on training church workers, pastors, and missionaries. Nearby colleges include Purdue University Northwest, Indiana University Northwest, and Calumet College. Two hospitals serve the Crown Point area. 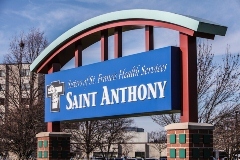 The Franciscan St. Anthony Health center contains 245 beds. The hospital specializes in a variety of medical programs and services including a Breast Cancer Care Center, Sports Medicine Institute and Sleep Disorders clinic. The smaller, 18-bed Pinnacle Hospital specializes in Internal and Family Medicine, surgery and occupational health just to name a few of its strengths. The residents of Crown Point mainly get around by car and commute at an average of about 30 minutes to work each day. Interstate 65, which runs north-south, runs through Crown Point, as does U.S. 231 which runs east-west. For air travel, Chicago’s Midway and O’Hare International Airports are the nearest international airports with the Lowell Airport in Lowell, Indiana being the closest local airport. Greyhound Bus services and Amtrak trains serve the area as well. 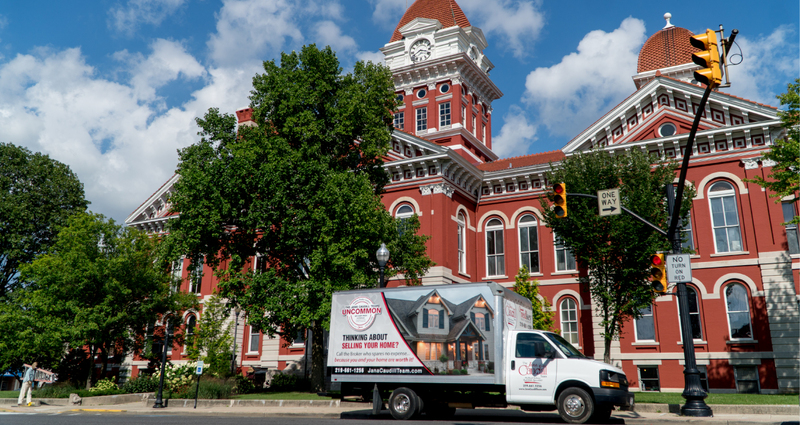 Whether you have a question on buying a home in Crown Point, selling a home, or any other Crown Point, Indiana Real Estate related question please call or email us. We’re always happy to help!